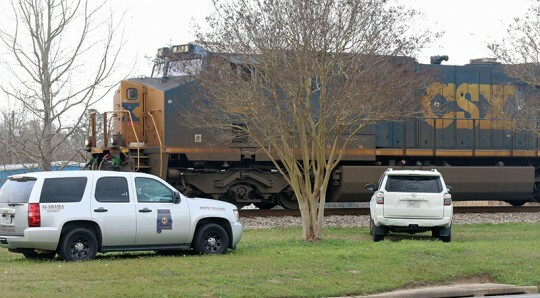 Atmore Police have identified a pedestrian struck and killed by a train Wednesday afternoon in Atmore. 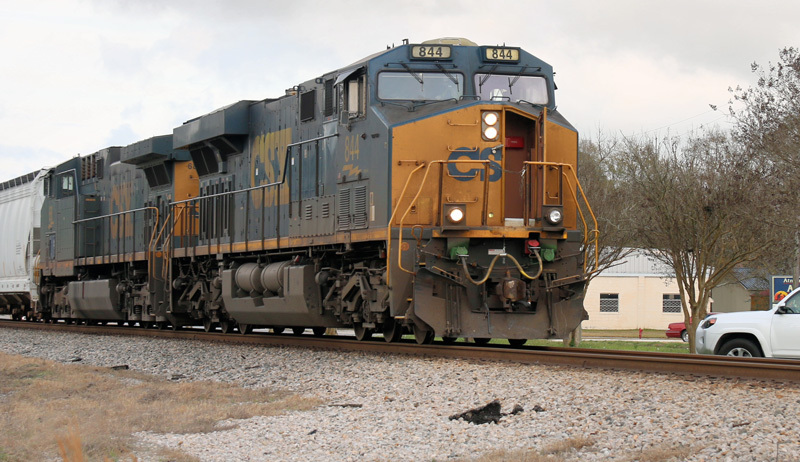 Eric Edwards Smith, 40, was hit about 1 p.m. by a westbound CSX train at the Martin Luther King Avenue railroad crossing, parallel to Highway 31. He was pronounced deceased at the scene. 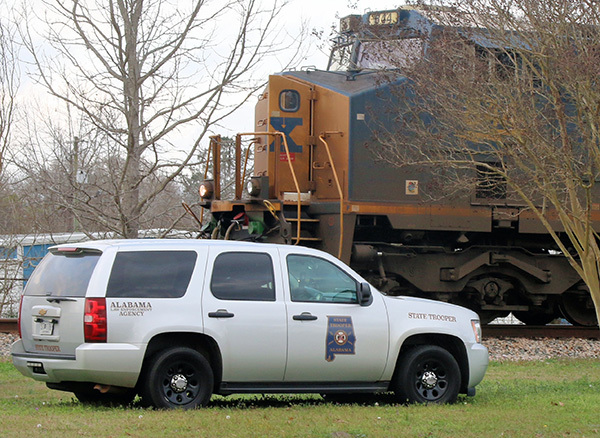 Witnesses said Smith was walking or standing on the tracks at the crossing, according to Atmore Police Sgt. Robby Williams. The crossing arms were down, the signal lights were flashing and the train sounded its horn numerous times but Smith did not get out of the way of the oncoming train, Williams said. Atmore Police and CSX are continuing to investigate. The train came to a stop about four-tenths of a mile away, near the Second Avenue crossing. The Martin Luther King crossing remained blocked for hours. 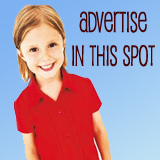 NorthEscambia.com photos. click to enlarge. I would hate to have been that engineer operating that train, to see what can’t be avoided coming, and witnessing death of another. I hope he’s or she’s ok. Sounds like suicide by train. Please please never commit suicide. It hurts so many others. Suicide is not the answer !! Lu, not to make light of the situation…truly sad but, a multi million pound vehicle with metal wheels and metal track vibrate a LOT!!! The ground shakes as a 4+ earthquake level within 300 feet. If I was at a 100 decibel Who concert I could still FEEL the train. I hope and pray his family find some peace after their grieving. What ever the circumstance, this is a sad tragedy. Am wondering …… if person slipped & was hit ? Why near tracks in first place,not like you can’t hear train coming????? There was an incident about a year or two ago where a teenager stepped in front of a train on purpose. It broke my heart for his family. A day or so later, I saw, what I believed to be, his family, and the young girl, which was either a girlfriend or a sister, had to be held up, as she was so distraught about what happened. I am so sad for the family of this person. I am praying that God will be with them during this most difficult time.